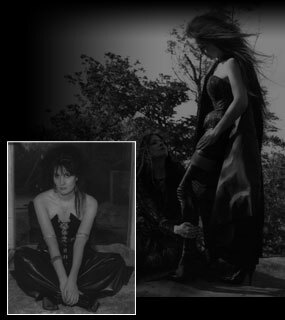 This section contains three interviews and three specific photo features that where created for the magazine Marquis' Masquerade. All the photo-shoots where great fun to organize and produce, all the participants where great people to work with and we are extremely grateful for their help and enthusiasm, especially the girls in the Hidebound shoot, as the weather in the Welsh mountains that day was not very accomadating. The interviews where done with independant fashion companies within the fetish industry. They were created to give people an insight into some interesting alternative fashions and where to be able to find the shops and/or clothing. The photo features where done with individuals that were thought of as having a unique and interesting sense of style.